Tomorrow, October, marks the start of Buy Nothing New Month. An annual global movement for collective, conscientious consumption. Buy Nothing New Month, is an idea that commenced right here in Melbourne, and is spreading to the Netherlands and USA. "Buy Nothing New Month isn't Buy Nothing New Never. Nor is it about going without. It's literally about taking one month off to really think, "Do I really need it?" If I do, “can I get it second-hand, borrow it or rent it? What are my alternatives? Can I borrow from a friend? Can I swap with my neighbor?" 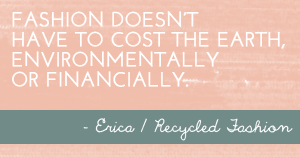 This alternative consumption campaign really isn't that hard to do, mainly because it does not mean buying nothing at all, but instead, encourages a sustainable approach of obtaining goods by way of recycling, buying second-hand, swapping, or borrowing, and only for a mere 31 days. Should an occasion present itself which requires a gift purchase, perhaps you might consider making your own gift instead, using materials you have around the house? Sites such as Recycled Market, Recyclart, The Junk Wave, or Craftbits might inspire you to get creative with your household trash. If craft is not your forte, you can always trawl through online sites such as eBay or Gumtree, Trading Post or similar for second-hand stuff you really can't do without. If you're specifically looking for clothing and accessories during for the month of October, you might consider organising a clothes swap party between your friends and family, otherwise attend an organised clothes swapping event (known as swishing in the some parts of the world). 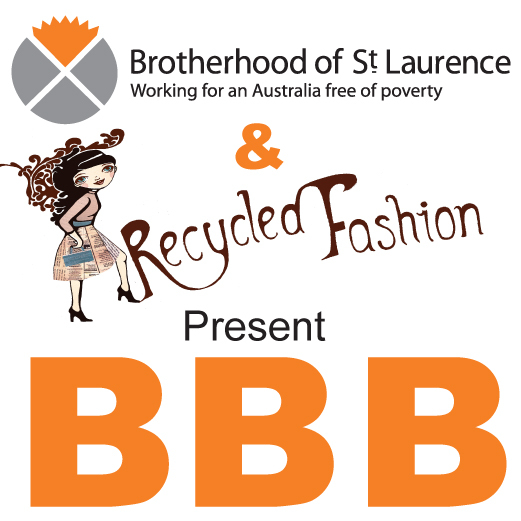 The Clothing Exchange's National Swap Day takes place on 8th October, there is an event taking place in Melbourne CBD that night, more details here. 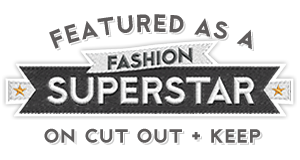 We all have clothes in our wardrobe we don't wear, why not replace them with items of clothing that will get an airing. 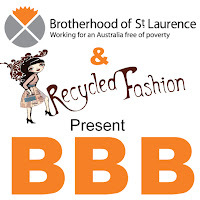 One of the sponsors of Buy Nothing New Month Australia, The Botherhood of St Laurence, is also the sponsor for BragYourBest Buys thrifty fashion contest which ends today! We'll be arranging a live online poll starting tomorrow, with which you can vote on the outfit you like the best. The winners will be announced in a week. 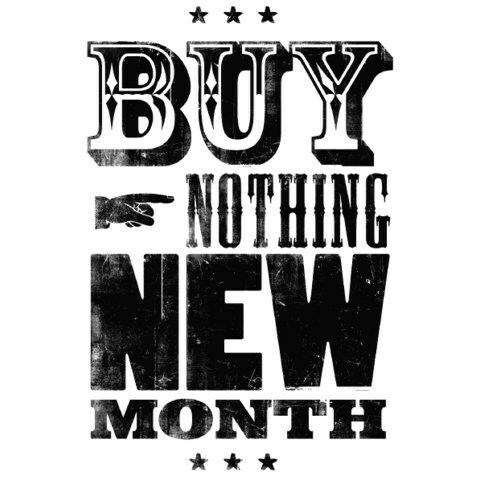 Do you, or would you, participate in a Buy Nothing New Month campaign? Terrific ideas on how to get off the buy-buy-buy treadmill. I will definitely be participating! i really like this idea...at the very least it makes you think about what you need/don't need/can make yourself/etc. i might try it! I think this is a great idea I would love to participate! Do I need to enter anywhere or do I just do it myself?